COLORADO SPRINGS - Firefighters from across the country and Canada will make their way into Colorado Springs later this week for the International Association of Fire Fighters Fallen Fire Fighter Memorial. The memorial that's happened in Colorado Springs every year for the past 28 years falls at a difficult time for our country this year at the start of the recovery efforts of not one, but two hurricanes. Firefighters across the country have been dispatched to help with both of those, including a group from Colorado Springs. Honoring first responders that made the ultimate sacrifice, about 190 names will be added to this permanent memorial over the weekend. All of their families will be coming to town, escorted by representatives from the stations they served. 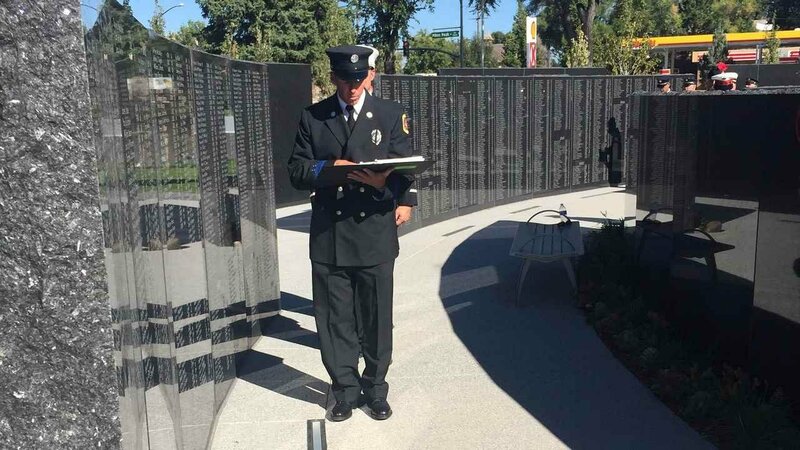 "It's a great responsibility but it's an absolute honor to honor the people that have truly made the ultimate sacrifice, and to take care of their families and to let them know that those members will never be forgotten," David Noblitt, President of the Colorado Springs Professional Firefighters Association of the IAFF Local 5 chapter said. But this year, Mother Nature had other plans and many firefighters instead are helping with the aftermath of two major hurricanes. While first responders in Houston have confirmed they'll be able to come, those struggling through the aftermath of Irma are still up in the air and it's not just the firefighters, it's also the families. "We have approximately 14 names from the southeast part of the United States that are scheduled to be put on the wall, unfortunately we're not sure logistically if they're going to be able to come or not," Noblitt said. Fresh off of helping with Hurricane Harvey, 11 Colorado Springs firefighters were diverted over to Hurricane Irma. "What's required of them is just to be on their game and ready for anything," Steve Wilch, a spokesman of the Colorado Springs Fire Department said. The firefighters on Colorado Task Force 1 have been gone 17 days and have gone from Georgia to Orlando and Sarasota and Fort Meyers could be next. "They would be helping us with that memorial, but they are missed but we have firefighters here that are stepping in to fill their shoes," Wilch said. That's the thing about these firefighters, they have a way of making sure their backs are covered and that every family of a fallen firefighter will be taken care of. "We're resilient as Americans and I know that even though we're going through a lot with the two hurricanes, there will be a good turnout for the memorial," he said. The memorial service starts at 11 a.m. in Memorial Park on Saturday, September 16th.